Stanley Rosenberg addresses the rising complexity that is all around us: in our profession, our personal lives and societies as a whole. It’s not just that life is changing faster or that old systems are breaking down. Our world seems to be moving into unfamiliar patterns of existence; trying to fix even one problem can lead to other unintended outcomes. It’s anxiety-provoking for the most grounded people, let alone those struggling to overcome severe trauma. So it’s no surprise that we may find working with our most fragile clients becoming an even greater challenge. Those of us who work with trauma know that it persists partly because of the body’s inability to release it. Our brains remain wired in much the same way as those of our ancestors, protecting us from danger by activating or deactivating. I’ve worked for many years with fellow experts on theories focused on the role of the poly-vagal nerve. And I’ve recently had the pleasure of meeting someone with a new approach to treatment, one that is simple and accessible to clients. 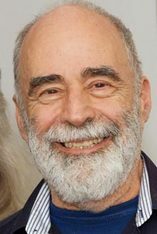 Stanley Rosenberg is not a psychotherapist: he has been a Rolfer since 1973 and a craniosacral therapist since 1987. Born in America but living in Denmark for the past 35 years, Rosenberg has taught structural integration, myofascial release and visceral massage, as well as biomechanical craniosacral therapy. While highly trained in body work, Rosenberg also has a background in theater arts, tai chi and dance. It is this unique perspective that informs his work and has helped him develop his methodology. It offers a simple intervention in a complex world. What if our brains themselves hold an effective treatment for anxiety, depression and trauma, waiting to be unlocked though a series of self-help exercises? How might we help clients discover, explore, and master the utilization of their own healing abilities under traumatic circumstances? Recently, Rosenberg has been working with psychotherapists to teach them how to use his material and exercises with clients. Through a series of easy self-help exercises, he has developed simple ways to regulate the vagus nerve in order to initiate deep relaxation, improve sleep, and recovery from injury and trauma. Additionally, his findings and methods offer new hope to alleviate some of the symptoms at the core of many cases of autism spectrum disorders. In exploring the link between a well-regulated vagus nerve and social functioning, it is possible to improve social behavior for clients diagnosed with autism. Rosenberg has published a new book, Accessing the Healing Power of the Vagus Nerve: Self-Help Exercises for Anxiety, Depression, Trauma, and Autism. In it, he explores methods to optimize autonomic functioning in ourselves and others by bringing the body into the state of safety that activates its innate capacity to heal. Dr. Stephen Porges is a colleague and an expert in the role of the polyvagal nervous system in pain and trauma. He has written the foreword for Rosenberg’s book (where he describes meeting and receiving a spontaneous 10 minute treatment from Rosenberg that provided long-term benefits). Porges summarizes Rosenberg’s work as an integration of cranio-sacral work with the Polyvagal Theory that can shift the autonomic state to neural muscular regulation. Rosenberg has developed a system of manipulations that promote a sense of safety and allow the body to retune itself for health & restoration. Our April webinar featuring Stanley Rosenberg, Return to Autonomic Balance, is still available online. He discusses the 12 cranial nerves, which are all related to the 3 polyvagal circuits, and in particular, highlights the five cranial nerves which are connected to optimal functioning of the ventral vagal circuit. He demonstrates how simple techniques and self-administered exercises can help to restore the social engagement properties of the ventral vagal system. His long-term goal is to encourage the autonomic nervous system to return naturally from a state of stress (spinal sympathetic activation) or depression (activity in the dorsal vagal circuit) to a state of social engagement and a return to physical and emotional safety. This empowering integrative approach may be a key to helping even our most complex clients. We might even utilize it for our own self-care. In the face of an ever-more complex world, it’s nothing short of amazing to find an effective and simple technique that can benefit us all. Stanley has just provided us with two newly-recorded training videos that are included in the April learning package. Order it now!